Join us June 6th in Atlanta where we will solve for the future of restaurant off-premise - takeout, delivery, and catering. 1. Opening Key Note: Building Scalable Off Premise Strategies for today and tomorrow. Mo Asgari - President- MonkeyMedia Software Mo is an expert at aligning technology development and corporate strategy to anticipate, shape and lead major market trends. As a professional manager with over 25 years of Software Development and Technology experience, most of his career has been spent in an executive technology management role developing and managing products ranging from an extensive enterprise solution, to corporate wide client-server solutions, to an off-the-shelf consumer based solution. He has owned and driven entire releases of major software solutions, taking ownership of tasks and believes in management through empowerment. Michael Atkinson – Founder and CEO - Orderscape. Michael is a restaurant technology investor, entrepreneur and strategic advisor to brands, venture investors, investment banks and technology innovators worldwide. As a serial entrepreneur, former restaurant corporate executive and multi-hyphenate living in Silicon Valley, Michael founded FohBoh.com, inFOH.com and Quikfitapp.com. He is a non-executive Director at Metristo.com; founder and CEO of Orderscape.com; advisor to bluestartups.com, foodandcity.org and 6dbytes.com, a food-maker robotics company. As a passionate advocate for transformative food and restaurant technologies, Michael helps restaurant brands and early-stage food and restaurant technology companies in the areas of corporate development, corporate finance, strategy, product development and resource integration. Tracy Avolio - Vice President- The Catering Institute As VP, Tracy’s role is to help multi-unit restaurant concepts develop, implement and grow their catering program, focusing on strategic program planning and educational training. Tracy has been in the restaurant industry for nearly 25 years working in positions such as Marketing Manager, Sales Director, Regional Catering Sales, and National Account Manager, with concepts such as Ruby Tuesday, Landry’s Seafood and Boston Market. Barbara Blackwell - Director of Catering - Bruegger’s Bagels Barbara has over 30 years of restaurant industry experience within the fast, fast casual, casual and the campus dining segments. She has held roles in operations, marketing and catering sales. Prior to joining Bruegger’s Bagels Barbara held various positions as Director of Retail Dining for Columbia University in Manhattan NY and Southern Methodist University in Dallas TX. She was Brand Manager for Arby’s Brand and a Regional Catering Sales Manager for Corner Bakery Café for over 8 years. Barbara holds a Bachelor’s of Science in Food Service Administration. Victoria Brady - Vice President of Caterer Partnerships - ezCater Victoria spent nine years working her way up in the restaurant business. She’s been a server, hostess, trainer, shift manager, marketing manager, and general manager. At the Grafton Group, Victoria was a key player for several of their independent restaurants, as well as for Margarita’s, the highly successful, regional chain that tapped her to manage multiple locations. Most recently, Victoria was shaping up the fitness industry, helping to open a flagship location for Town Sports International – Boston Sports Club, and was general manager at another of their locations. Zack Cable - Head of DoorDash Drive- DoorDash Zack is the Head of DoorDash Drive, DoorDash's catering fulfillment business. In this role he is responsible for product, sales and operational excellence. Prior to DoorDash, Zack held roles as General Manager of NatureBox's corporate business and as Director of Enterprise Growth at Atlassian. Zack holds an MBA from Stanford University and a BA from Dartmouth College. Erle Dardick - Founder & CEO of MonkeyMedia Software, The Catering Institute and Catering Insights Erle Dardick, Restaurant catering veteran, business turn-around expert and author, and is best known for helping multi-unit restaurant executives create successful catering revenue channels. After owning and running a highly successful retail deli and catering operation, Erle founded MonkeyMedia Software and The Catering Institute to provide catering solutions to multi-unit restaurant operators including strategy, education, and software. He is also the founder of Catering Insights, an industry publication that covers trends, data and best practices surrounding restaurant catering, takeout and delivery operations. He is also the author of “Get Catering and Grow Sales! A Strategic Perspective for The Multi-Unit Restaurant Executive”. Passionate about community-building, Erle is dedicated to his work with multi-unit restaurant executives. Brian Farris - Vice President International Operations - FOCUS Brands Brian was recently named Vice President of International Operations for FOCUS Brands. Before moving to the international role he served as Vice President of Strategy for Schlotzsky’s where he led the relaunch of their catering business doubling sales in the first two years and spearheaded the development of their new concept evolution, Schlotzsky’s Austin Eatery. Prior to joining FOCUS Brands, he took a short respite from the restaurant business as Chief Operating Officer for the USA Pro Challenge, a Tour de France caliber professional cycling event in the US. Being an avid cyclist himself it was an opportunity to marry business acumen with a personal passion. Brian is a thirty-year veteran of the restaurant business. From humble beginnings as a dishwasher, he has grown to serve in executive positions across multiple disciplines including accounting, finance, operations, marketing and international business development for companies such as Boston Market, Quiznos, Consumer Capital Partners and now FOCUS Brands. 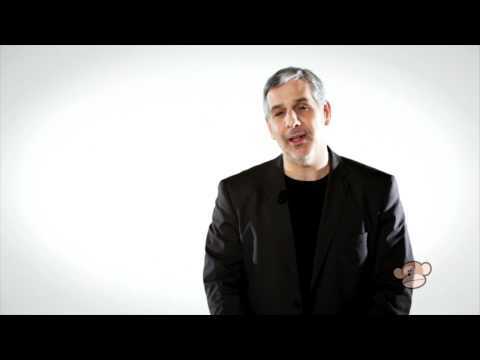 Ben Flammang- VP Business Development - Bringg Ben Flammang is the head of business development at Bringg Delivery Technologies, an enterprise logistics technology startup based in Tel Aviv and New York. Prior to joining Bringg, Ben held leadership roles at Zagat, Google and Ordr.in, a Google Ventures portfolio company in the restaurant ecommerce space. Ben lives in NYC with his wife and four kids but is a Chicago native with a love for deep dish pizza and the Cubs. Anna M. Graves-Partner & Co-Leader of the Restaurant, Food & Beverage Industry Group -Pillsbury Winthrop Shaw Pittman LLP Anna Graves is co-leader of Pillsbury’s Restaurant, Food & Beverage Industry Group and a partner in the firm’s corporate and securities practice. Ms. Graves has broad experience in mergers and acquisitions, securities, finance, brand licensing, and general corporate matters. Voted by her peers as one of Southern California’s “Super Lawyers,” Ms. Graves represents a number of restaurant and retail clients. She concentrates her practice in the core areas of mergers and acquisitions, emerging growth companies (including start-ups), and capital formation activities such as private placements and private equity investments. Rob Grimes - Founder & CEO, IFBTA Rob founded the International Food and Beverage Technology Association to promote and advance technology and innovation for the global food and beverage industries. Rob is also founder, CEO and Chairman of ConStrata Technology Consulting, and has been a regular technology columnist for several industry and technology publications. Rob is a Conti Professor in the Program of Hotel, Restaurant and Institutional Management (“HR&IM”) at Penn State University and also serves on the Industry Advisory Boards of the HR & IM Programs at the University of Delaware and the University of Nevada Las Vegas. Richard Hodges- VP, Operations Services- La Madeleine. Joining la Madeleine in 2002 as the Director of Learning, Richard Hodges has transitioned through different roles within the company over the last 14 years including training, new café openings, information technology and operations services. Over 30 years a restaurant industry veteran, Richard has operated concepts in the casual and fast casual dining segments, from large multi-unit chains and single owner operated restaurants. In 1997, while working for Metromedia Restaurant Groups, Richard moved from field operations to corporate support representing the Steak in Ale brand in training, operations engineering and eventually operations services. In 2002, Richard rolled out e-mail for his first project with la Madeleine as the Director of Learning. Almost each year to follow and while in different capacities, Richard’s initiatives have encompassed technology implementation and training in an effort to better support operations. These initiatives have included: inventory management, labor allocation, Handhelds/Line Busters, Kitchen Display Systems, POS upgrades, Menu Boards, Call Centers, Online Ordering, and corporate wide catering and off premise sales programs. Richard is a nerd and frustrated English major still yearning to write the Great American Novel…set in a restaurant. Paul Hicks - Senior Vice President, Operations Services & Brand Development -Corner Bakery Cafe Paul joined Corner Bakery Cafe in 1998 serving in various field operations roles in Dallas-Fort Worth and Southern California prior to becoming Director of Catering Operations in 2006. He was named Vice President of Operations Services in 2008, took over people training and development in 2010, and then became Senior VP of Operations Services & Brand Development in 2015. With over 25 years of industry experience, including various multi-unit roles in the QSR & Fast Casual segments, Paul is responsible for the strategic alignment and successful implementation of all cross-discipline brand initiatives for the +190 unit company and franchise system. He oversees the brand’s catering program, including the development and support of all catering systems and processes. He and his team are also responsible for all training and development programs for field operations. Trudy Jones - Director of Alternate Platforms – Catering - Red Robin International, Inc. Trudy Jones brings over 20+ years of expertise in off-premise sales, menu and operational strategy, guest services programs and call center architecture and operations. Currently she is creating and implementing Red Robin’s new catering program serving as the Director of Alternate Platforms. She’s a purpose driven leader with a passion for leading through serving. Ed Keller - Director of Off-Premise Sales - Which Wich Ed joins us with extensive experience in the restaurant industry. Ed most recently worked for more than 20 years for the Boston Market Corporation. He has not only led the Catering Department for them, but has also led the Training / Learning & Development and Ops Services Departments. Ed has created numerous training programs and has implemented a food truck program, a monthly QSC Inspection Program and the Covey 7 Habits / WIGs programs. His extensive catering experience includes planning and directing sales initiatives; implementing and running a delivery driver program; implementing a home delivery, school lunch, and third-party catering programs. Ed enjoys working with his franchise partners to help them determine the proper approach to building sales. His varied experience in operation, training and catering make him a valuable addition to the team! Tim Kimmel - Director of Off-Premise Business Development - Fazoli's Tim Kimmel graduated from Indiana State University with a degree in Business Management. He has been involved with the Hospitality Industry for over 35 years, 24 of those have been spent with Fazoli’s Restaurants. He began as a General Manager/Managing Partner, Area Supervisor and Director of Operations for both company and franchise locations. He spent two years as Director of Operation Services where he coordinated a joint venture between Fazoli’s Restaurants and the McDonald’s Corporation. Tim is currently the Director of Off-Premise Business Development, and is responsible for developing the Catering program for 123 company-owned Fazoli’s locations. His responsibilities include creating menus, marketing and packaging, establishing a centralized Call Center, implementing Catering and Takeout Technology programs for all company locations, Website Development and Fleet Management. In 2017, Tim is looking forward to expanding his team, by hiring both Regional Catering Sales Managers and Catering Sales Managers. These positions will be located in strategic markets to generate Catering sales and drive repeat business. 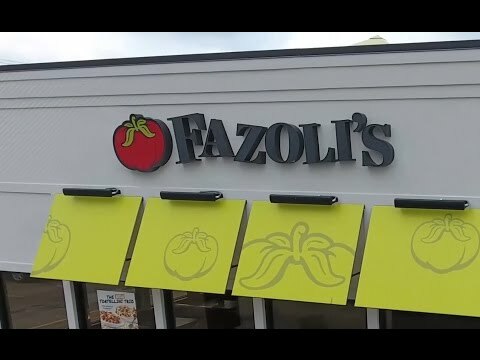 This will add and strengthen Fazoli’s catering market share in the Restaurant Industry. Jackie Kurkjian - National Director of Catering and Backline Sales- Potbelly Sandwiches Jackie has more than 14 years of restaurant catering experience and has been instrumental in designing and implementing national catering programs for Boston Market and Qdoba Restaurant Corporation. Her expertise includes strategic planning, improving efficiency of operations, directing all aspects of the sales process and developing and implementing multi-channel marketing plans. Jeff Nash - Enterprise Sales Executive- GRUBHUB Jeff has owned and operated a group of restaurants & bars in Chicago for 10+ years. Jeff currently leads the Enterprise Sales Team at GrubHub, which partners with large national chains. Jeff grows GrubHub’s business by building relationships with multi-unit national and regional restaurant chains (100 or more locations). Use a consultative sales approach to educate large national and regional restaurant groups on the value of GrubHub’s suite of services. Jeff's favorite food is Soup Dumplings. Gracie Prasanson - Director of Sales - Jason’s Deli Gracie is passionate about quality work and performance excellence while creating an environment where team members feel valued and challenged in their roles. Gracie enjoys the challenge of creating new positions and The Sales Department in her tenure with Jason's Deli. Gracie has a proven track record in managing diverse teams and developing successful leaders in both operations and sales. Founded in 1976, Jason's Deli is a dynamic, growth-oriented, family-owned private organization which strongly believes in Core Value-based, servant leadership. We have developed a reputation for great service and quality food through principled execution and customer trust. I love what our founding owner, Joe Tortorice, says about the business... "We're in the People Business, we just happen to be selling food." This says it all about our organization and it's commitment to improving the lives of all we serve. 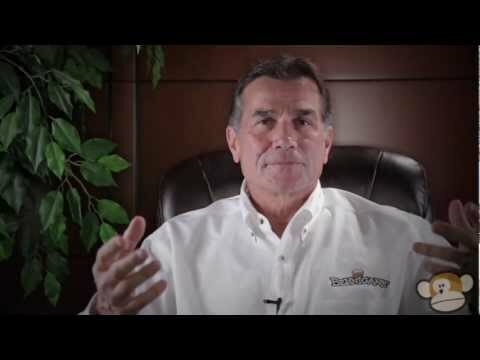 Jim Rand - VP, Catering - P.F. Chang’s Jim is a 34 year restaurant industry veteran, having served in multiple operations leadership roles over the past 3 decades. Early in his career, Jims’ hands-on experiences with Au Bon Pain, Einstein’s, and Metromedia Restaurant Group provided unique insight into the day to day challenges of operating multi-unit restaurants in challenging start-up, franchise, and turn-around environments.From 2000 to 2016 Jim worked with Panera Bread. For the first seven years, as a Franchisee and Operating Partner in Minnesota, Jim built and led a team that successfully opened and operated 27 Panera Bread Bakery Cafes. Upon successfully selling and transitioning the cafes to Panera, LLC, in 2007, Jim joined the company to lead their catering efforts. Over an eight year time period, he was responsible for the strategic and tactical catering initiatives for Panera, LLC, resulting in multiple years of double digit sales growth. Jim joined P.F. Chang’s in May of 2016, and is developing and implementing a Catering program for the concept, as well as leading the initiatives for all Off Premises Dining, including take-out and third-party delivery. Jim is a graduate of the University of Wisconsin, Madison and is a devout Badger fan and Cheese-head. He resides in Hingham, Massachusetts with his wife and best friend for 30 years, Sande, and their two children, Casey and Luke. Melissa Wilson- Principal - Technomic Melissa works closely with senior leadership teams and private equity firms on identifying strategic opportunities for restaurant concept positioning, brand evolution, growth strategy and domestic and international expansion. Melissa leads the firm’s Off-Premise Practice and Catering Insights Program and directed the firm’s recent On Demand Delivery and Off-Premise studies. Randy White- Vice President Retail Information Technology-FOCUS Brands Employed with FOCUS Brands for three years now, Randy has transitioned into his role as Vice President of Retail Information Technology for their rapidly expanding business with over 5000 domestic and international locations that include Auntie Anne’s, Carvel, Cinnabon, Schlotzsky’s, Moe’s Southwest Grill & McAlister’s Deli. He brings more than 25 years of experience in the restaurant and technology industries to support the development and implementation of FOCUS Brands’ vision in mobile platforms, digital strategy, online ordering, back office, call center, helpdesk, PCI and more. Prior to his 14 year tenure with McAlister’s, Randy held the position of Sr. Director of IT for Georgia-based Avado Brands, previously having served in multiple positions including POS Coordinator, Manager of IT\POS, Network Administrator, Manager of Business Systems and Project Manager. With a scope of responsibility spanning multiple Avado Brands concepts, Randy was instrumental in the growth of an Applebee’s franchise from 16 to over 285 locations and the divesture of those restaurants. He also helped lead the technology team during the Avado Brands’ acquisition and integration of Don Pablo’s Mexican Kitchen, Hops Grillhouse & Brewery, Canyon Café, McCormick and Schmick's Seafood Restaurant, as well as the management of several joint ventures with overseas corporations in the New York and Philadelphia areas. Education: Mississippi State University, Starkville, MS – B.S. in Computer Science, Bagley College of Engineering. Catering Sales Managers, Catering Coordinators, Director of Catering, Training Department, Franchisees, Executive Support Team For Group Rates- Contact: tracy@cateringinstitute.com In this full day, onsite, interactive session, attendees will be provided with a targeted, specific sales training course that will enable them to acquire new catering customers and build relationships that develop order frequency. 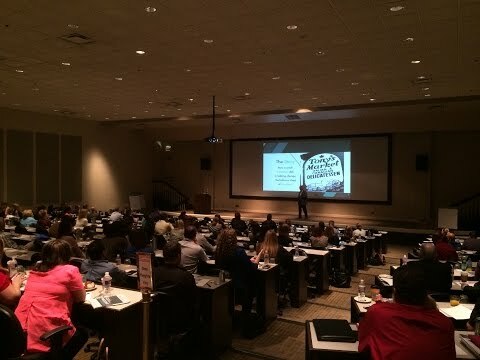 Workshop attendees will learn about the need for cold calling and prospecting and the affect it has to their overall sales success, followed by understanding the fear factor surrounding cold calling and real techniques to overcome those fears. Skills training to follow will focus on the techniques to master cold calling as a sales driving activity that generates and qualifies leads, determines decision makers, solidifies meetings and closes sales. Attendees will experience interactive classroom learning as well as group breakout sessions. At the end of the session, candidates will feel knowledgeable, prepared and empowered to effectively use cold calling as a sales driving technique. “Let’s face it. No one is perfect. We should always be in a constant state of awareness for improvement. No matter how good your tactics may be in generating catering sales, you need to take this course. Why? Because you’ll definitely learn something new. Something you hadn’t thought of before, a new angle, a good-habit forming practice…something. Knowledge is Power. Why rob yourself of improvement/power? You want more money, don’t you?”- Ken Rojas, Corporate Regional Catering Sales Manager, Schlotzsky's Contact tracy@cateringinstitute.com for group rates! Restaurant Delivery Drivers, Operators, Catering Coordinators, Regional Managers, Director of Catering, Training Department, Franchisees, Executive Support Team For Group Rates- Contact: tracy@cateringinstitute.com During this half day, onsite Restaurant Delivery Driver training course we will discuss the various roles and responsibilities that must be considered to create a dynamic catering team for your catering business. In many cases, the delivery driver is one of two touch points our guests have with our brand, and is an instrumental component in the overall catering program success. The success of the catering order rests solely with that driver once he/she leaves the restaurant. The idea of having a formal driver program where the drivers only deliver catering orders can seem unnecessary. Our focus in this course is to make sure your drivers stand out from the competition by offering an elevated service level, and are equipped with some proactive emergency methods, have the tools needed to deliver an extraordinary experience to the catering customer and make sure the catering program grows and prospers. Attendees will experience interactive classroom learning as well as group breakout sessions. At the end of the session, delivery drivers will feel knowledgeable and prepared to deliver catering at a high level. Understanding the size of the prize; why catering is so important to the brand. Catering ordering influencers – delivery driven. The expectations and needs of catering customers are very specific and different from that of our retail guest. Understand what matters to the buyer and how delivery can affect results. Catering Support Team Roles. Understand who the players are and the roles they play in the catering program; highlighting the key points of importance of the delivery driver role. Learn business processes and tools that will help drivers and locations follow a systematic process to ensure success. Our Master Class provides expert sales training to enable restaurants to acquire new catering customers, build relationships & ensure customer loyalty. This one day, comprehensive sales management workshop is aimed at improving sales performance for catering leaders and their teams. In addition, catering leadership, operational execution, centralization and world class delivery behaviors will be discussed. At the end of the session, candidates will feel knowledgeable and prepared to go after high order volume customers with a focused sales strategy! Operators, Catering Coordinators, Regional Managers, Director of Catering, Training Department, Franchisees, Executive Support Team For Group Rates- Contact: tracy@cateringinstitute.com In this half day, onsite, interactive Flawless Execution workshop we will provide the attendees with a clear understanding of the importance Operations plays in the overall Catering program success. Flawless execution practices will enable the brand to acquire new catering customers and build relationships that develop order frequency. Skills training will focus on techniques that create lifelong customer relationships to better ensure repeat orders and customer brand loyalty. Attendees will experience interactive classroom learning as well as group breakout sessions. At the end of the session, operators will feel knowledgeable and prepared to execute catering at a high level. Understanding the size of the prize; why catering is so important to each restaurant operator. How catering customers differ from our retail guest. Catering ordering influencers – operations driven. The events, expectations and needs of catering customers are very specific and different from that of our retail guest. Understand what matters to the buyer and how you can affect results. Catering Support Team Roles. Catering is a team effort and requires the support of multiple departments and positions. Understand who the players are and the role they play in the catering program. Overall Operator Catering Focus. Operators are responsible for multiple facets of the catering program – execution, packaging, staff training, communication & recognition, driver management and 4-wall selling. Flawless Execution. Step by step execution procedures to help ensure flawless execution, which leads to customer retention, new customer acquisition, referrals, frequency and loyalty. Contact The Catering Institute for a free 30-min phone consultation. 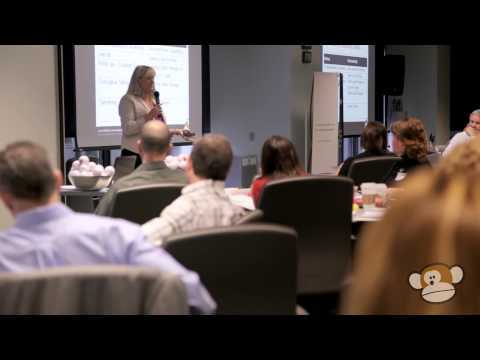 PepsiCo customers qualify for Partner in Education pricing on services and training. Is Your Catering Experience Scalable and Predictable? It's Time! Is Your Catering Holiday Marketing Plan Cemented? This webinar has already completed. Learn about our other workshops and webinars here! Get a head start on 2018 with time sensitive sales tactics and target markets to accelerate catering sales! The Master Class for Catering Sales Management training is a one day onsite, interactive training session. This course offers comprehensive sales management education aimed at improving sales performance for catering leaders and their teams. This workshop will provide expert sales training techniques to enable CSM’s to acquire new catering customers, build relationships and better insure repeat orders and customer loyalty. In addition, Catering Leadership, Operational Execution, Centralization and world class Delivery behaviors will be discussed. Attendees will experience interactive classroom learning as well as group breakout sessions to practice the learning provided. At the end of the session, candidates will feel knowledgeable and prepared to go after high order volume customers with a focused sales strategy. Contact tracy@cateringinstitute.com for group rates! To document a very clear and comprehensive idea of the current catering order and sales processes and systems through on-site examination of catering leadership, operations, sales and marketing, centralization and delivery programming. To formulate recommendations on developing the current catering program into an accelerated growth platform for the company. These strategic recommendations will center on building brand loyalty outside the four walls as it relates to both social catering and the business-to-business sales channel. Engaged Needs Analysis - Meet with the team and discuss current IT, leadership, marketing, operations, delivery and catering sales to understand leadership alignment and full scope of identified catering program needs and current assessments regarding strengths, weaknesses, opportunities and threats. Evaluate current Catering Sales, Marketing programs and review customer acquisition and retention/relationship activity. Assess and evaluate current technology supporting today’s business. Visit key company locations to evaluate and assess company order execution, facilities and production capabilities. Explore order processing and evaluate ease of ordering against key competitors. Evaluate facility constraints and current program talent capabilities. Review current packaging, focusing on brand presence, cost efficiency, and usability. Analyze in-store catering collateral and presence. Assess current CRM platform and evaluate capabilities. Study current sales and sales support. Examine Catering Orders and Execution from consumer perspective. Examine Catering Orders and Execution from operations perspective. Make leadership, delivery, operational, sales and marketing and centralized programming recommendations based on current catering consumer behavior insights and analyst research. Make Software Recommendation that facilitates full spectrum of solutions. Engineer current capabilities for increased sales and profitability. Develop Catering Roadmap to Success designed to establish catering as an accelerated growth platform for the brand. Present findings in executive summary detailing rationale with fact-based findings. Include and address catering budget in recommendations and business case. Where is your catering program today? 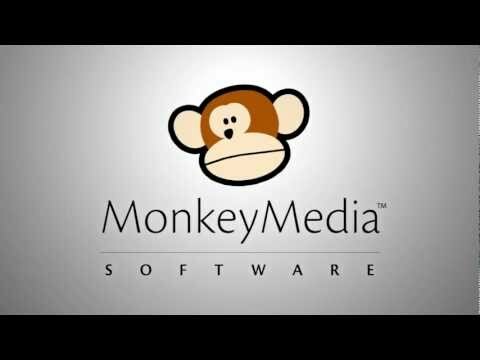 Leveraging full use of MonkeyMedia Software to drive sales while bringing visibility to both sales and operational accountabilities. Subsequent mentor session topics build off of the initial Session and are typically determined by the Catering Director Personal Development needs and the Organization’s most immediate specific needs as determined in the initial Session. The Sessions are comprised around, but not limited to the following menu of topics and include student review of essays and materials prior to the one-hour session and discussion. P&L - Discuss explicit costs of the catering program and labor allocation, theoretical food costs, catering sales manager wages, administration (G&A), driver wages, delivery charges, call center costs, travel costs, etc. 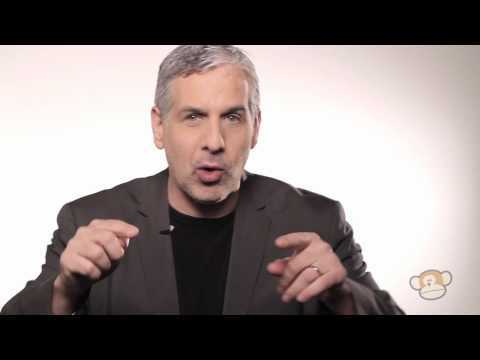 Hot Target List - Where is the Business and How do you Get It? For Group Rates- Contact: tracy@cateringinstitute.com In this two (2) hour in-person or online Hot Target training session, a targeted specific sales training course will enable attendees to acquire new catering customers and build relationships that develop order frequency. This course will provide attendees the top revenue generating markets to target, the top companies within each market, how to find those closest to them, their specific catering event needs, when and who to call, and suggestions for catering opportunities they can recommend when promoting their brand. In this restaurant catering workshop, attendees will begin the sessions learning the importance of lead generation, and how to acquire and qualify each lead for subsequent action. Further learning will focus on how to target organizations that have catering needs. The Catering Hot Target workshop provides students with the types of organizations to reach out to, how to find those closest to them and suggestions for catering opportunities they can recommend when promoting their brand. The session will commence with an outline for the sales meeting once qualified leads have been generated; how to get the meeting, strategic sales approach and closing. Interested? Contact us to learn more! Supercharge your restaurant catering sales with The Hot Target Workshop. This two hour, targeted sales training course teaches restaurant operators how to acquire new catering customers, build stronger customer relationships, and increase order frequency. Florida Restaurant and Lodging Association members receive $50 off registration! Breakfast will be provided and served 8:00AM - 9:00AM. Receive Preferred Pricing with Hotel Indigo ($119) - 234 Third Ave, North St. Petersburg, Florida 33701 - Just reference FRLA when making your reservation. Attendees will begin the sessions learning the importance of lead generation, and how to acquire and qualify each lead for subsequent action. Further learning will focus on how to target organizations that have catering needs. The Catering Hot Target workshop provides students with the types of organizations to reach out to, how to find those closest to them and suggestions for catering opportunities they can recommend when promoting their brand. The session will commence with an outline for the sales meeting once qualified leads have been generated; how to get the meeting, strategic sales approach and closing. This workshop is brought to you in partnership with Florida Restaurant and Lodging Association. If you are not a member and would like to join, you can receive a $50 discount on this workshop. Zack Cable - Head of DoorDash Drive- DoorDash,strong> Zack is the Head of DoorDash Drive, DoorDash's catering fulfillment business. In this role he is responsible for product, sales and operational excellence. Prior to DoorDash, Zack held roles as General Manager of NatureBox's corporate business and as Director of Enterprise Growth at Atlassian. Zack holds an MBA from Stanford University and a BA from Dartmouth College. Click here to learn more about our topics, agenda, and registration. "Vendor" will have the right to utilize the “The Catering InstituteTM Certified” trademark within its external marketing materials. In this webinar, we teach you step by step execution procedures to help ensure flawless execution, which leads to customer retention, new customer acquisition, referrals, frequency and loyalty. During this one hour interactive Flawless Execution webinar, we will provide the attendees with a clear understanding of the importance Operations plays in the overall Catering program success. Flawless execution practices will enable the brand to acquire new catering customers and build relationships that develop order frequency. Skills training will focus on techniques that create lifelong customer relationships to better ensure repeat orders and customer brand loyalty. At the end of the session, operators will feel knowledgeable and prepared to execute catering at a high level. Did you know the holiday season can account for up to 50% of catering, takeout, and delivery sales for restaurants? Learn how to use resources already at your disposal for low effort, high reward sales. 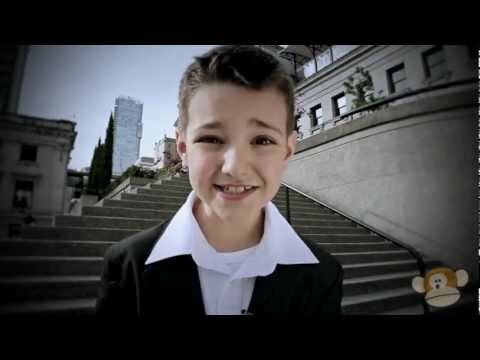 School is not out! Now is the best time to plan ahead and increase off-premise sales. The Hot Target Workshop is a targeted, sales specific training course designed to provide attendees with the skills to acquire new catering customers and build relationships to improve order frequency. Attendees will learn the importance of lead generation, how to acquire and qualify each lead for subsequent action, and how to target organizations, that have catering needs, when they need it. This workshop will demonstrate the types of organizations to reach out to, how to find potential sales closest to you, and the event opportunities to discuss when promoting a brand’s catering offers. Register today and get the education you need to take your catering sales to the next level! To register for this online course, please click on “Buy Now” below. After submitting your registration, you will receive a confirmation email with workshop login details. If you do not receive this email within 2 business days of registering, please contact us. If you have any questions, please call 1-877-666-6539 or email learning@monkeymediasoftware.com. WE CANNOT TAKE AMEX ONLINE. FOR AMEX ORDERS, PLEASE EMAIL US. The Hot Target Workshop is a targeted, sales specific training course designed to provide attendees with the skills to acquire new catering customers and build relationships to improve order frequency. By attending, you'll learn the importance of lead generation, how to acquire and qualify each lead for subsequent action, and how to target organizations, that have catering needs, when they need them. This workshop will demonstrate the types of organizations to reach out to, how to find potential sales closest to you, and the event opportunities to discuss when promoting a brand’s catering offers. Register today and get the education you need to take your catering sales to the next level! To register for this online course, please click on “Buy Now” below. After submitting your registration, you will receive a confirmation email with workshop login details. If you do not receive this email within 2 business days of registering, please contact us. If you have any questions, please call 1-877-666-6539 or email learning@monkeymediasoftware.com. WE CANNOT TAKE AMEX ONLINE. FOR AMEX ORDERS, PLEASE EMAIL US. 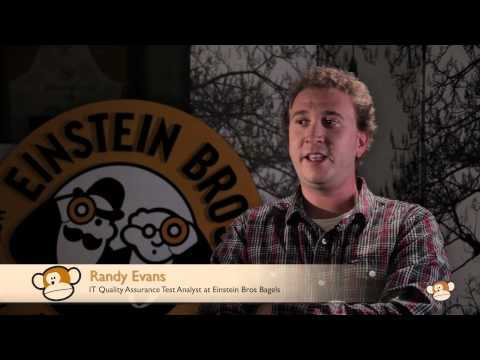 Einstein Noah Restaurant Group Inc. (ENRGI), based in Lakewood, CO, is the nation’s largest operator of bagel bakeries and the leader in the fast casual segment of the restaurant industry. Catering is your 13th month. Multi-unit restaurant operators have a great opportunity to grow their business, and leverage their existing brand presence to introduce a new revenue source. Catering can make a difference in your bottom line. Catering is not an add-on business, it's a business unto its own. Erle Dardick, CEO of MonkeyMedia Software and Author of Get Catering and Grow Sales! wants to have a conversation with you about your take-out, delivery and catering revenue channels. The only disability to a great catering strategy is a bad attitude. Food is our common ground; a universal experience. Food can unite the world. The Catering Sales Manager (CSM) Workshop was developed to educate and engage catering leadership teams on managing a successful restaurant catering business. The 7th Annual Fast Casual Executive Summit closed out with a Gangnam Style LipDub from the team at MonkeyMedia Software. Featuring various members of the multi-unit restaurant community. Bennigan’s is coming back! Mission possible is here. Bennigan’s now caters!Congratulations to Paul Mangiamele for breathing life back into his franchisee community. In this free webinar, we’ll show you how to raise the level of communication within your team, get a clear understanding of your internal partners’ needs and priorities, and engage store staff to be more connected to the catering program. In this free webinar, Lisa Defeo-Bass and Tracy Avolio cover how crucial your menu is to the success of your catering operations while being one of the best pieces of marketing collateral you have to entice new customers. 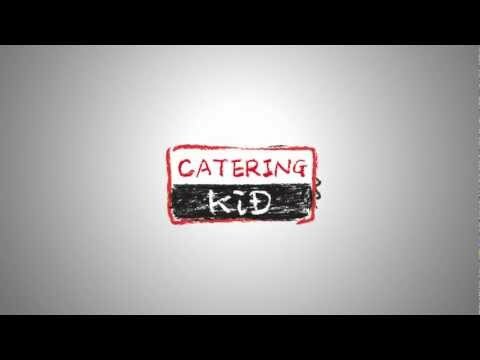 The Catering Kid educates you on how your employees are your best marketing asset. Set goals for you and your business. The team rocks Fast Casual with a lip-dub video.